Born and raised in Los Angeles, Adrienne first fell in love with Santa Fe and its many charms while attending St. John’s College in the late 1980s. 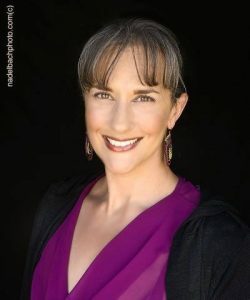 After a decade stint in San Francisco and earning her MFA in creative writing at the University of San Francisco, Adrienne permanently made Santa Fe her home in 2003. Adrienne joined the administrative staff of Sotheby’s International Realty that same year and advanced through all staff positions of the Grant Avenue office within seven months. As the Office Administrator, she supported over forty brokers in the top producing office of the Santa Fe SIR brokerage for twelve years, serving in multiple capacities that built her knowledge of the inner workings of real estate, most specifically in contract and file management, and as web lead and referral coordinator for all three brokerage offices. Known for her exceptional attention to detail and stellar written communication skills, Adrienne brings an outstanding level of service and integrity to her clients and strives to make the buying and selling process as smooth and graceful as possible. A licensed New Mexico Real Estate Broker since 2005, Adrienne is a member of the National Association of Realtors, the Santa Fe Association of Realtors, and Women’s Council of Realtors. When not working, Adrienne enjoys spending time with her school-age son, reading, and delighting in the incredible beauty the Northern New Mexico outdoors offers. 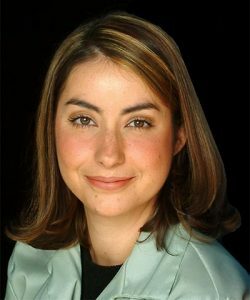 Vanessa Rios y Valles first joined Sotheby’s International Realty as Marketing Coordinator, providing expert marketing and advertising services to more than 40 real estate brokers. In 2005 she earned her New Mexico real estate license and joined the administrative team of one of the top five producing brokers in Santa Fe. During her 11+ year tenure on this highly productive and successful team, Vanessa assisted in closing over 300 transactions representing over $291 million in sales volume. Intimately involved in supporting all stages of the business, she implemented an effective marketing plan for each listing, provided open communication and feedback with clients throughout the property showing phase, and expertly managed the various stages and hurdles of shepherding a contract from initial offer to final closing. This high level of immersion with a top-producing team amply prepared Vanessa to launch her own real estate career equipped with a wealth of knowledge and experience about the intricacies of selling and buying property in our unique Santa Fe market. Vanessa is dedicated to providing her clients with exceptional customer service, and has received praise for her excellent communication skills, attention to detail, and high level of professionalism. She loves the New Mexico landscape and Santa Fe’s distinctive architecture, and enjoys sharing that passion with her clientele. Originally from San Antonio, Texas, Vanessa first discovered the Land of Enchantment while attending the College of Santa Fe (now the Santa Fe University of Art and Design) to study the theatrical arts. Vanessa left Santa Fe for Portland, Oregon in 1994 where she co-founded and jointly managed an acclaimed and award-winning theater company. However, she never forgot the beauty and magic of New Mexico and returned to Santa Fe in the year 2000. Vanessa still participates in the local theater scene and is an enthusiastic supporter of the arts.